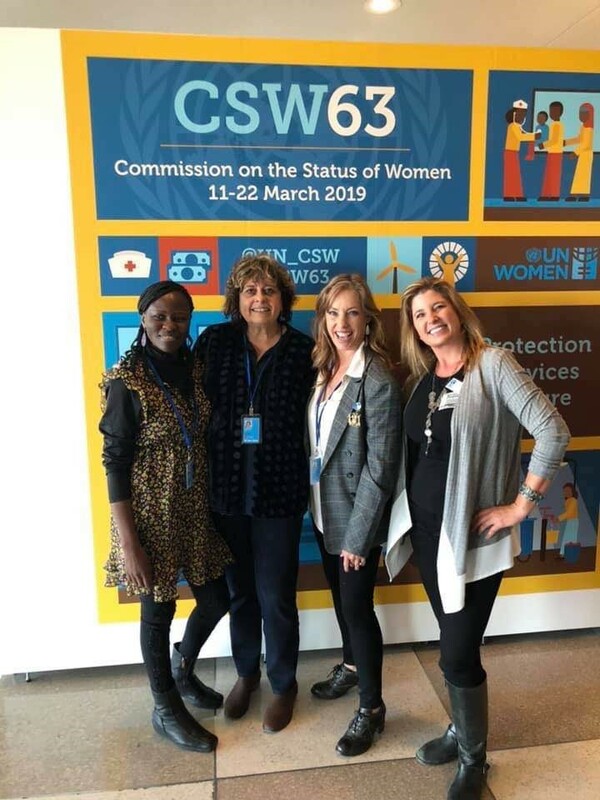 CSW63 – A Life-Changing Adventure! 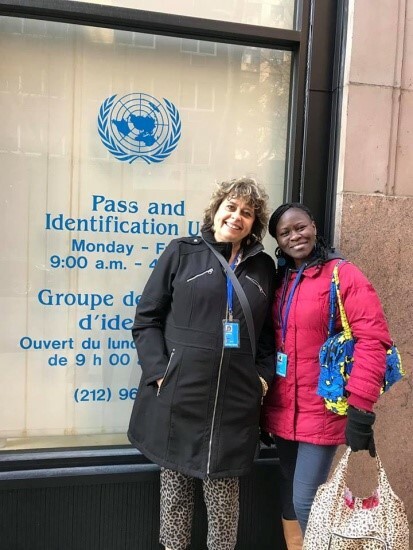 “Our adventure in NYC at the CSW63 began Saturday March 9th, meeting SIOC friendship links club SI Kisumu’s member Dolphine Anyango. Dophine, Teri, Sue and Michelle became fast friends on an amazing adventure in NYC advocating for the advancement of women and girls globally. SI Kisumu presented SIOC with an official correspondence thanking SIOC for supporting the educational needs of 8 girls. The NGO Committee on the Status of Women, NY (NGO CSW/NY), supports the work of the United Nations Commission on the Status of Women and UN Women. NGO CSW/NY is an untiring advocate with Member States for gender equality and the empowerment of women and girls across the globe in support of the work of the United Nations Commission on the Status of Women and UN Women. Every year in New York, NGO CSW/NY organizes NGO Consultation Day in preparation for the session on the UN Commission on the Status of Women. Activists gather from around the world to discuss issues pertaining to women and girls, to network, share strategies/best practices and to lobby governments to implement resolutions and treaties that they have signed. NGO Representatives are brought together to caucus, issue joint statements and provide wording for the Agreed Conclusions of the annual United Nations Commission on the Status of Women. SIOC supported the attendance of Michelle, Teri and Sue to attend. The performers, dignitaries and speakers inspired, excited, educated and moved the audience. Topics ranged from UNICEF Bangladesh sharing strategies to educate and end child marriage, jaw dropping spoken word poetry, and a passionate plea on behalf of the widows and their land rights of Namibia, Kenya, Malawi by the Global Fund for Widows. We left prepared for the days ahead, or so we thought. We started very early attending different sessions and meeting up with each other throughout the day. Addressing Refugee Needs of Women and Children in Africa lead by Pink Africa Foundation opened our hearts and minds to the plight women and children in much of the global south. Organized by Pan Pacific and SouthEast Asia Women’s Association (PPSEAWA) and Soroptimist International (SI), the event ‘Addressing Gender through the Compact for Safe & Orderly Migration’ was moderated by SI Director of Advocacy, Beverly Bucur. Barbara Rochman, SI United Nations Representative NY, spoke of the transnational nature of migration, and specifically broke down the fundamentals of the Global Compact of migration (GCM), exploring the provisions and detail therein, including gender responsive provisions, education, economic empowerment of women, and the importance of regional, government and civil society actors in regard to successful implementation. 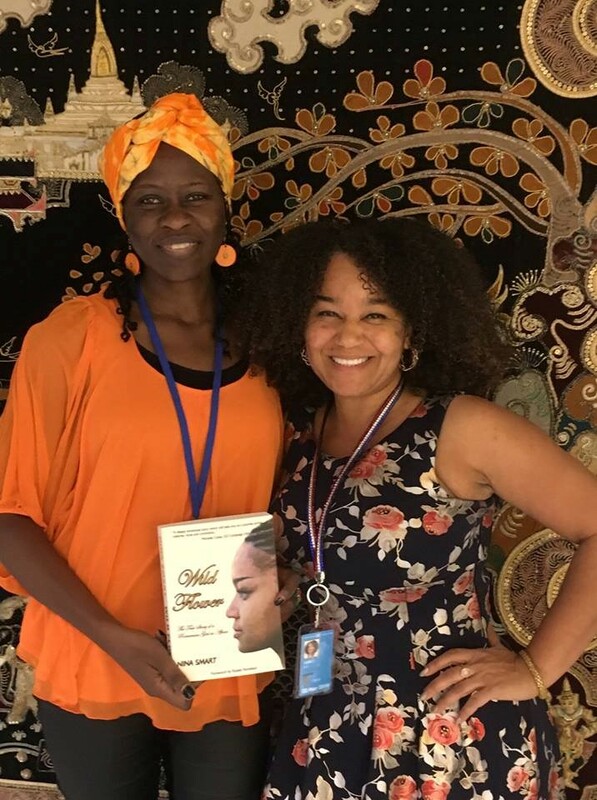 Dr. Nina Smart shared her own powerful experiences and story, having escaped Female Genital Mutilation (FGM) just before the ‘initiation’ season started in West Africa in 1991. Questioning whether anything has really changed since then, Nina discussed what she called the ‘Secret Society’, sharing stories from her book, Wild Flower, which included testimony and experiences of others, and underlined her commitment to breaking the silence on the life-changing effects of FGM, and to fighting to end the harmful practice. Yolanda Tsuda shared on the migration situation in Japan. Noting that the majority of undocumented migrants were women, she spoke of a rise in international marriages, particularly in rural areas – noting that the number of private and governmental marriage brokers peaked in 2006, however, it is on the increase again since 2016. She explained how ‘Entertainer’ had became a euphemism for ‘prostitute’ and how East Asia is the largest and fastest epicentre for feminization of migration. Helen Yang shared stories of best practice, speaking of the SIA Dream it Be it Program and its ongoing success in Taiwan. Another fascinating session was Strategic Communications to Advance Human Rights featured communications experts from diverse fields – sexual and reproductive health and rights, climate change, and LGBTQI rights – for an energizing discussion of the communications strategies, campaigns, and on-the-ground tactics that are critical to attracting new audiences, changing policy, and having a lasting impact. ‘Vocational training of women: an excellent investment’ sponsored by Soroptimist International of Europe (SIE) and co-sponsored by Women for Water Partnership (WfWP), Business and Professional Women (BPW) and Soroptimist International (SI). The Keynote was delivered by Mariet Verhoef-Cohen, in her capacity as President of Women For Water Partnership and Soroptimist International. President Mariet explored the value and importance of women’s participation within the water sector, underlining the necessity of vocational training as a tool in achieving SDG 6. Describing the gaps in knowledge and skills shortages in the sector, particularly in rural areas, President Mariet noted that investment in people, specifically women is needed to make universal access a reality. Moving the USA to Support Full Equality for All was a host of panelists including Kate Kelly, Equality NOW Kate Kelly, Equality NOW (Moderator), Carol Jenkins, ERA Coalition, Julie Suk, Professor CUNY, Gilda Yazzie, National Organization of Women. That evening we attended a wonderful orientation and reception held and hosted at the Taipei Economic and Cultural Office for the CSW63 Soroptimist International delegates and friends. Guests had the opportunity to meet and hear from the SI NY UN Representatives, network and have fun. Thanks to SIOC Sue, Michelle and our guest, Dophine, attended the NGO CSW Forum Reception was held at the New Yorker Hotel where we met and networked with women’s rights and empowerment advocates from around the world! Many attendees wore their native dress and proudly shared their passion of women’s social justice. 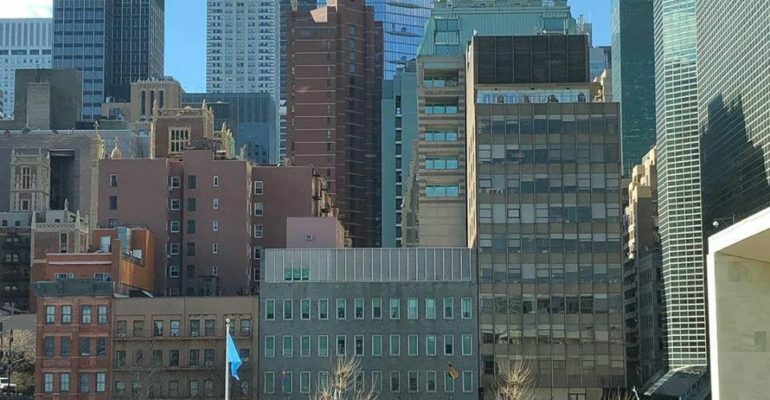 Attending the CSW63 was an experience that is hard to put into words. I find myself continually processing all that I witnessed, perceived, and learned. The experience has altered my world and given me greater dedication and conviction to the mission of Soroptimist International to improve the lives of women and girls through programs leading to social and economic empowerment”.